Crohn’s disease is a common disease that afflicts people across the globe. This chronic inflammatory bowel disease is characterized by the inflammation of the digestive or gastrointestinal tract. According to doctors, Crohn’s can affect any section of the GI tract. However, it mostly occurs at the end of the small intestine where the ileum joins the colon. Crohn’s can also affect the eyes, joints, and the skin. Crohn’s affects both men and women and the symptoms can vary from mild to severe. According to statistics, nearly 700,000 people in the U.S suffer from Crohn’s. It is important not to confuse Crohn’s with irritable bowel syndrome, which is a disorder characterized by compromised muscle contractions of the bowel and not intestinal inflammation. Although the exact causes of Crohn’s haven’t been established, doctors and experts in the medical field opine that Crohn’s is not caused by something you ate. It is caused by a combination of several factors which include an overactive immune system, genetics, and the environment. Crohn’s is a chronic disease and will require lifelong treatment. In some rare cases, surgery may be recommended. Fortunately, those suffering from Crohn’s can get great relief by consuming medical marijuana. Not only does it have relaxing effects on the mind, but also helps in reducing the inflammation of the GI tract. 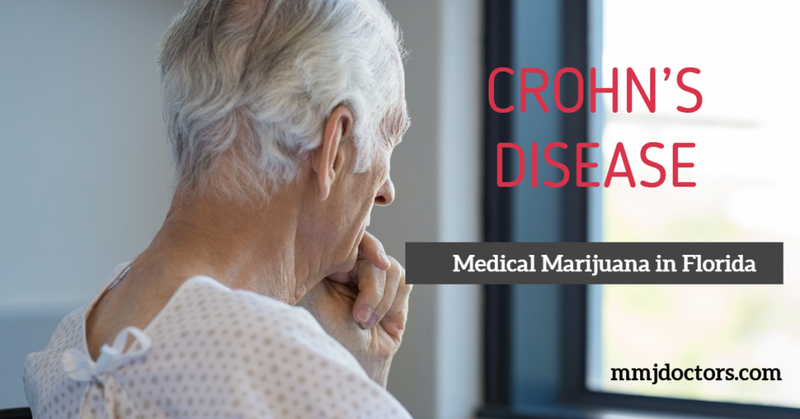 Read on to know more about how medical cannabis can help treat Crohn’s disease. Crohn’s disease symptoms as mentioned earlier can range from mild to severe. They can also vary over time, and may be different from person to person, depending on which part of the GI tract is affected. Since the symptoms vary greatly, it can be hard to diagnose this disease. If you suffer from Crohn’s disease, you may have symptoms such as frequent and recurring diarrhea, unexplained sudden weight loss, fever, rectal bleeding, abdominal pain, fatigue, and reduced appetite. Crohn’s disease can affect the entire GI tract right and can be progressive, which means that the symptoms can get worse with time. It is, therefore, prudent that you do not let embarrassment get in the way, and have an honest conversation about your symptoms with a doctor to help him diagnose the severity of your case and recommend the right treatment plan for you. Cannabinoids in Medical Marijuana are useful in Crohn’s Disease treatment to help reduce pain and inflammation in the body. Other medications are recommended as part of treatment for serious bacterial infections. Crohn’s disease is often confused with conditions such as celiac disease, diverticulosis, and irritable bowel syndrome as the symptoms of these conditions are a lot like those of Crohn’s. Most often Crohn’s is misdiagnosed as colitis as people suffering from colitis may also exhibit symptoms such as abdominal pain and cramps, weight loss, fatigue, and rectal bleeding. Crohn’s may also be mistaken for gastroenteritis– a less serious condition that plagues several hundred. Crohn’s disease can be a debilitating condition that seriously affects the quality of life. It can cause severe pain, inflammation, and an inability to tolerate many types of foods. Unfortunately, many patients do not respond to conventional treatments, and some others suffer from severe side effects caused by immunosuppressant drugs. This is why more and more people today are turning to cannabis. Inflammation of the GI tract is what triggers a number of symptoms in those suffering from Crohn’s disease. When the GI tract is inflamed for a prolonged period of time, the body struggles to absorb the nutrients it needs to sustain and function. This can lead to a number of short-term as well as long-term problems. As is true with most disorders, cannabis herb has been used for years to treat the many symptoms of Crohn’s disease. Cannabis has the ability not just to treat, but also limit intestinal inflammation. According to a report that was released by The Crohn’s & Colitis Foundation of America in the year 2012, the potent compounds found in certain strains of marijuana are said to mimic certain molecules (endocannabinoids) that occur naturally in the body and help bring down gastrointestinal inflammation dramatically. Unfortunately, most conventional drugs do little to reduce inflammation; they instead suppress the immune system. Cannabis contains an active ingredient called cannabinoids that is said to have remarkable immunomodulatory effects. This prevents the immune system from releasing pro-inflammatory proteins that can worsen the condition. Consuming cannabis will help trigger anti-inflammatory compounds that work at reducing the inflammation of the GI tract. Unlike most other forms of treatment, consuming medical marijuana in moderation under the supervision of a specialist can help to treat GI tract inflammation without causing other side effects and symptoms. 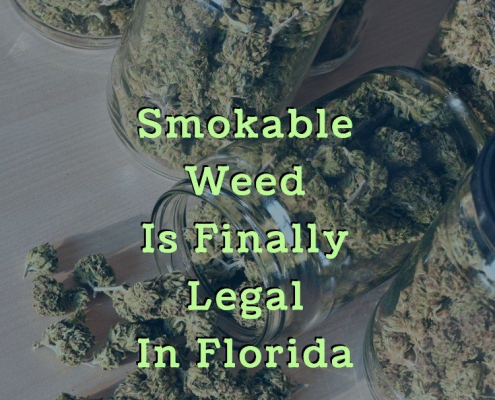 The use of medical marijuana has been legalized in many parts of the United States, including Florida. You can get high-quality strains of medical marijuana that are available at regular marijuana dispensaries as well as online stores. 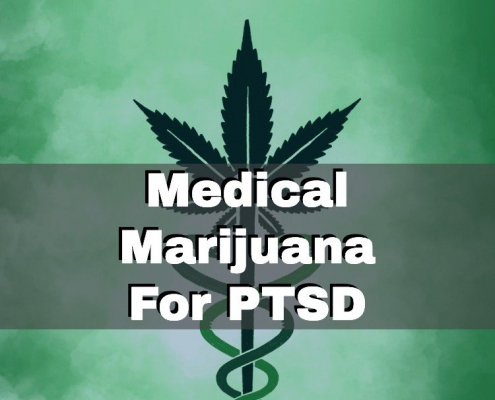 All you need to do is prove that you are suffering from a condition that marijuana can help treat. You may contact a specialist that deals with marijuana to recommend the right dosage and treatment plan for you. 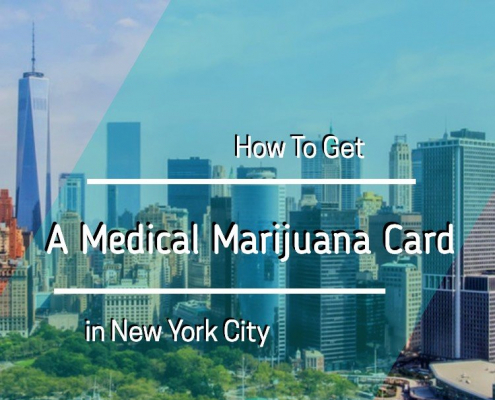 In order to purchase medical marijuana, you will need to have a state-issued ID card that can be easily obtained when you visit a qualified medical marijuana doctor. The board-certified physician will be able to approve your application for a medical marijuana ID card, which you will receive within a few days. You can use this card to purchase or even grow marijuana in your home for personal medical use. If you or a loved one is suffering from Crohn’s and wishes to try out medical marijuana as a treatment, help is at hand. Visit MMJ DOCTORS MIAMI to discuss your treatment options in detail. We will assess your symptoms, gather all your medical records, and take into account any history of other medical conditions before ascertaining the right dosage of cannabis to treat Crohn’s disease. This is a 100% legal setup and your privacy is guaranteed. Visit www.mmjdoctors.com to make the first step towards a pain-free life. The medical doctors at MMJ Doctor Florida may be able to recommend medical marijuana for Crohn’s Disease in the State of Florida. You can have your questions answered today by scheduling an appointment online.